An increasingly mobile workforce, the move to the cloud, and the proliferation of mobile devices used by employees are blurring the boundaries of the traditional network security perimeter. Organizations are having difficulty affording, implementing and managing consistent, unified access policies to corporate resources. 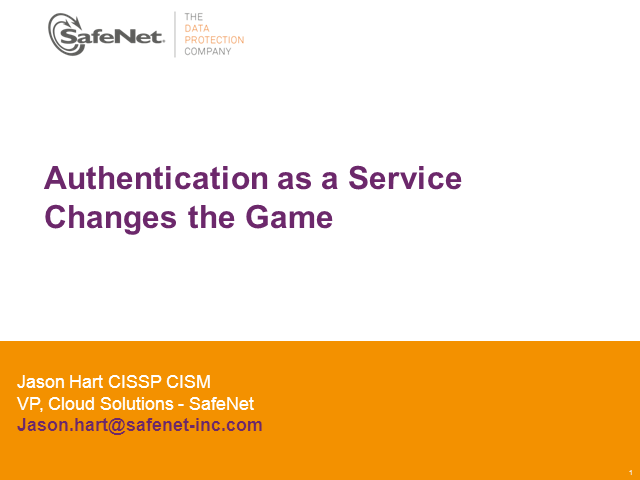 Join your fellow professionals for insights into the changing market forces and the move to SaaS, and then understand how Authentication as a Service can enable companies to pursue a consistent authentication policy across the organization with speed, ease and a significantly reduced spend.